The white burr ash seat of this stool was hand carved to a comfortable shape referencing early dutch bicycle seats which were very comfortable and supportive. The stool of the stool has been carefully adjusted to allow it to support the natural curve of the spine for people of average height. The legs were hand turned and were inspired by simple shaker chair design. 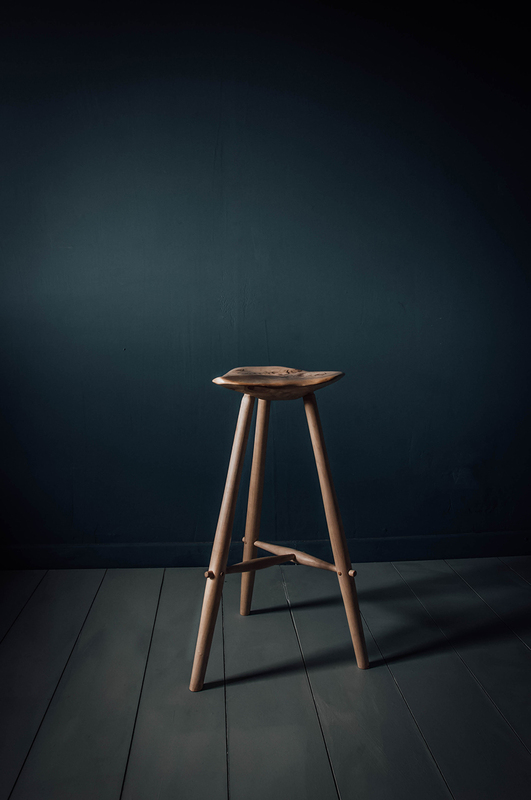 The stool also references Wharton Esherick stool designs and sought to build on that design by making it more ergonomic and introducing more unusual timber.